Grim Reaper Wine Guzzler Holder  - $26.99 : Mystic Crypt, the most unique, hard to find items at ghoulishly great prices! 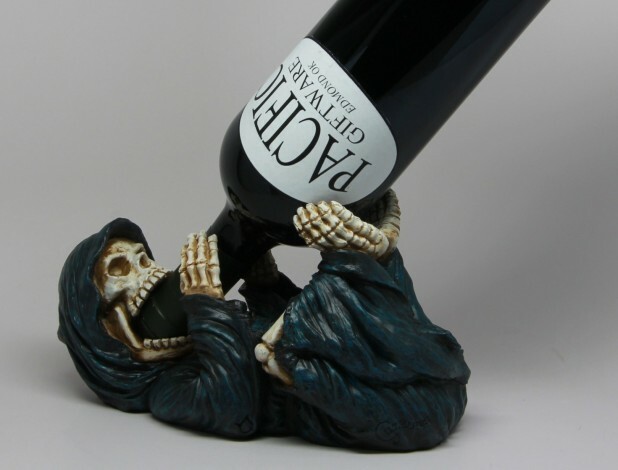 Grim Reaper Wine Guzzler Holder. 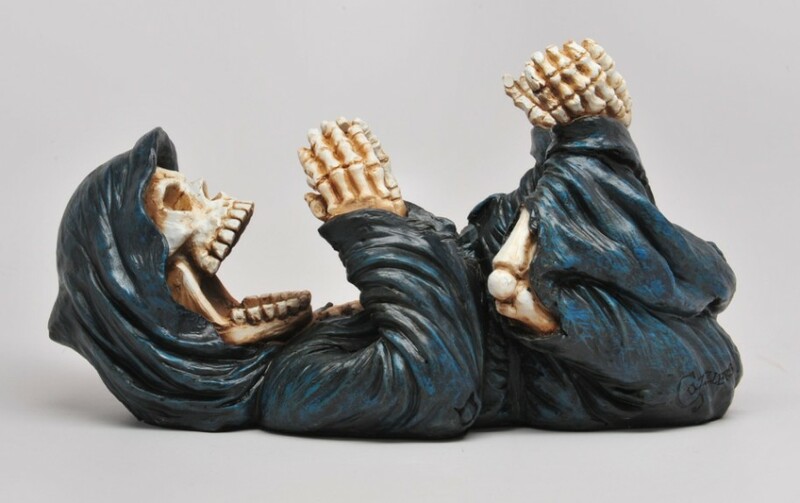 Add some flair to your kitchen decor with this bottle holder in the shape of a grim reaper laying on its back in position to drink the wine. Hold a full sized wine bottle. Meticulously Crafted and Masterfully hand-painted, sculpted, and cast in high quality resin. Great for any Goth collector. He measures 9 1/4 inches long, 4 1/2 inches wide, and 5 inches in height. There is felt on the bottom. Pictures do not do him justice, he is simply adorable!